Even as I write this post, I realise this is perhaps one of the last few posts I am going to do with summer fruits. This summer has been distinguished for us in the amount and quality of fruits, especially stone fruits that we have enjoyed thanks to our CSA. There is something comforting about knowing that you are going to get a nice bag of the freshest every week and you don't have to go to grocery and debate over each fruit as to whether it is going to be good or not. 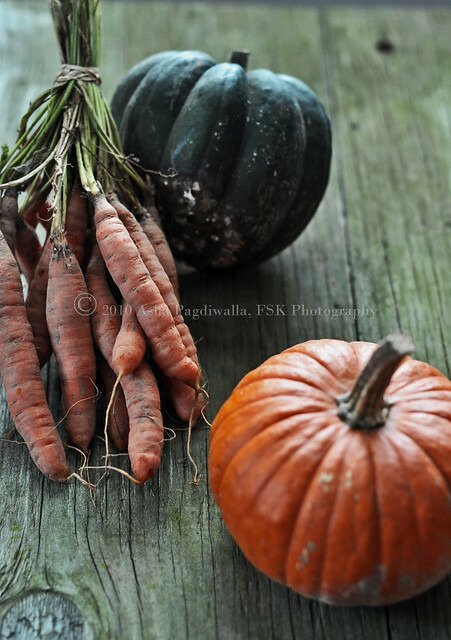 Hmmm.. come to think of it, I have not been doing much produce shopping at all!! In the meantime, I still have a bit of summer's stone fruit to share with you, not the last of them are these gorgeous Apricots. Funny, but do you notice the slightly reddish tinge of the flesh, like it portends of the coming season? These were late summer produce from the CSA and they weren't quite as sweet as usual but they worked very well in this rustic tart. 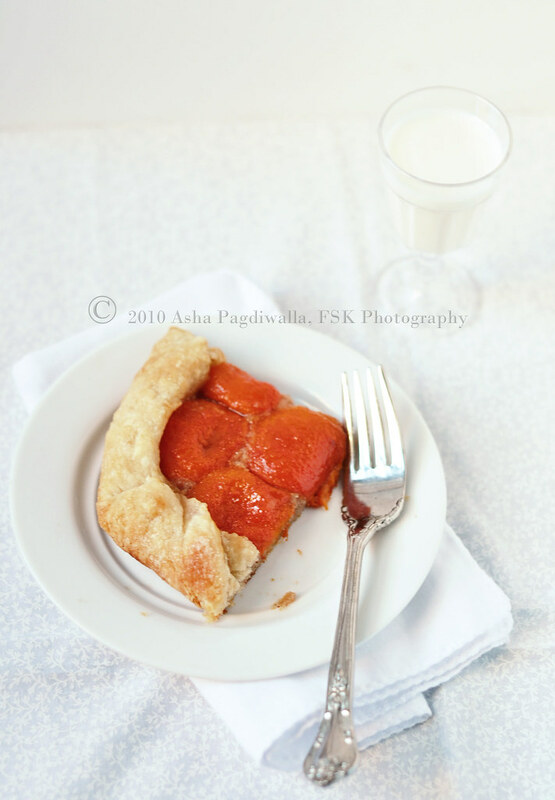 I could have gone with simply apricots inside but I had some left over almond meal that I wanted to use up but did not really want to make frangipane. So, I settled for somewhat of a compromise. I made a thick almond paste with sugar and butter and spread it at the base. Tip: To peel the apricot, score a X at the twig end and soak for 30 seconds in boiling water. Remove to ice cold water and then peel skin. It should come away easily. Preheat oven to 400F. Roll out the tart dough into an approximate 8 inch circle. Mix together the almond meal, butter and powdered sugar to make a paste. Spread the paste in the center of the dough. Line the apricot halves, seed side down, leaving 1-1.5 inch border. 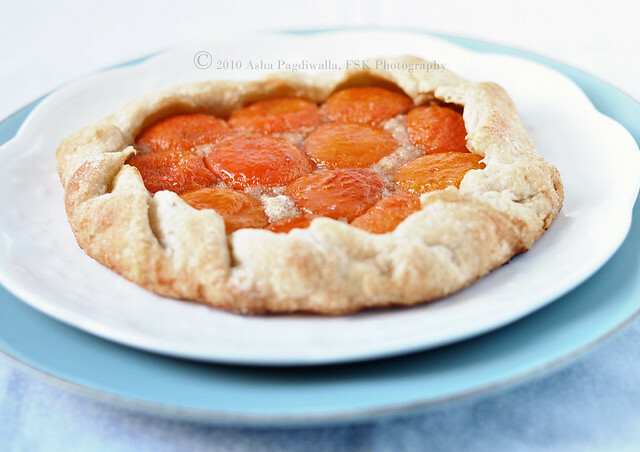 Fold the dough edges over the apricots decoratively. 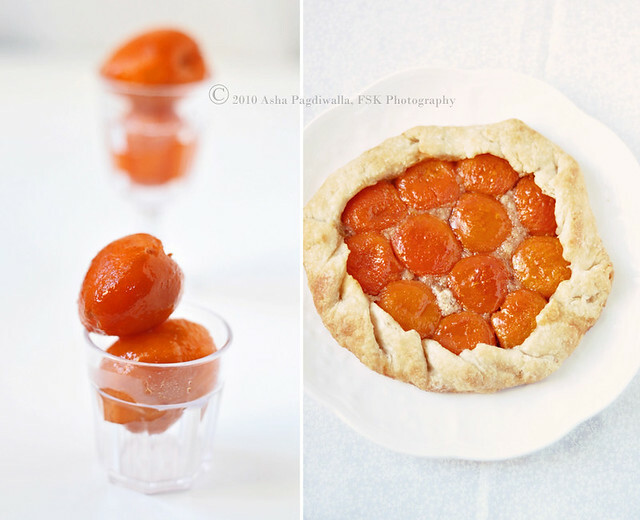 Drizzle the honey over the exposed apricots. Freeze for 10 minutes. Brush the folded edges of the dough with butter and sprinkle sugar. Bake for 25 minutes or until the edges have turned golden brown. Remove and cool for a few minutes before slicing. Toss everything together and freeze for 30 minutes. When ready, slowly stream the water while working the mixture into a dough. Stop adding water, when it comes together somewhat. Kneed gently to gather the dough and form into a ball. Pat into a rough circle, wrap in plastic and freeze for atleast 30 minutes before rolling. If you are using only half portion divide the ball before patting into circle.